Do you love to look at the colorful, appetizing pictures of food in cookbooks? Try your hand at food photography. Take mouth-watering pictures of food when you follow these 7+ tips. Maybe you are a food blogger and want your photographs to look more professional, or you know of someone in need of a food photographer. You can also get into food photography just to practice skills and techniques you can apply to other types of photography. 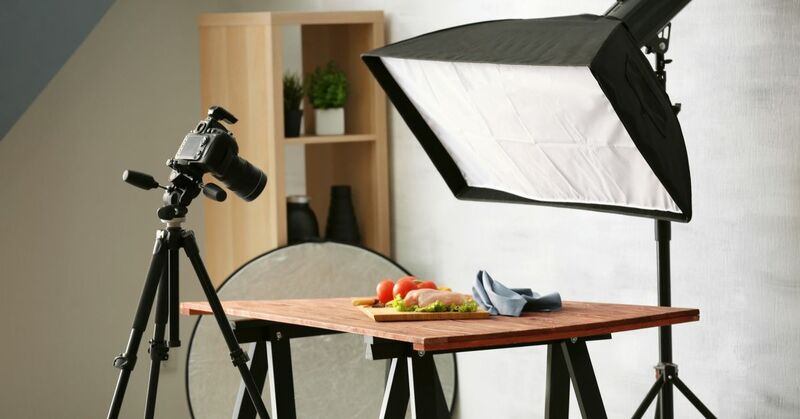 Take note of the props other food photographers use in their shots and notice how it enhances the photo. You don't want to add too much to make the photo look busy. Just add something such as a piece of silverware to the foreground or background. To take a great picture you need good lighting. Use natural light by taking shots near a window. If its too bright or dark outside, get in a room with all white walls and ceiling so that the light will bounce from the walls to your food for a soft light effect. Try not to take shots directly above the plate, looking down from a distance. Get right above the plate or at the same level of the plate. Try out different angles to get the best angle of the food. Have your composition planned out so that you can move things around once your food is ready. Study cookbooks to see how the pros do it and create your own shots. Use the rule of thirds or lines to draw the viewer in. Prepared food looks its best right after its cooked or completed. Keep this in mind and take as many shots as possible before it starts to droop or change color. You want to be ready to take your pictures as soon as the food is ready, since the food won't wait for you. Practice your macro photography skills by taking detail shots of different parts of the food. Focus on the best parts of the dish or something that was emphasized in how to make it. Add some ingredients to really make the food stand out and look appetizing. Brush vegetable oil over the food right before taking photographs to make it look fresh and bright to the viewer. Another trick to make your food photography stand out is to add steam to it, as if the food just came out of the oven, fresh and ready to eat. To do this, soak cotton balls in water, then microwave the cotton balls. Place the steaming balls of cotton behind the food, and shoot away. Here are some ways to better use a wide angle lens.